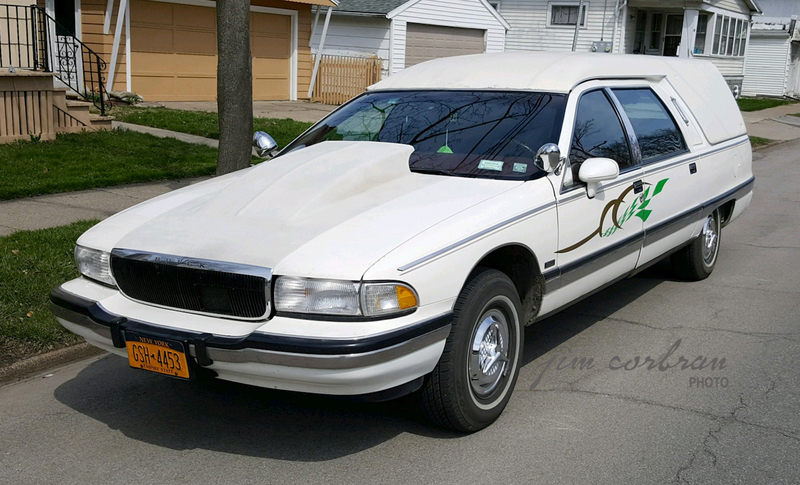 From the school of Go Big or Stay Home comes this 1992 Buick Roadmaster hearse conversion. 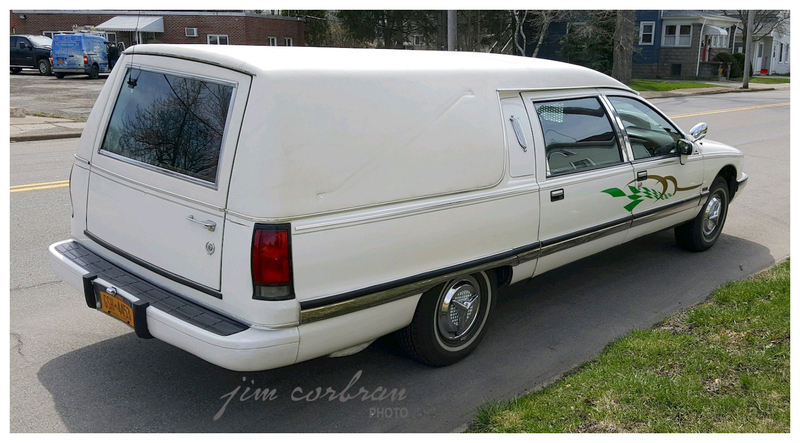 Based on the big Buick station wagon, we can see that the roof was raised and a side-opening door was added to the rear “cargo” area for ease of loading/unloading. This example, seen just down the street from RealRides HQ in Tonawanda, has a huge addition to the hood, either for looks or to help exhaust hot engine air (or maybe... decomposition, Lol...); also the 1950s’ style spinner wheel covers are a nice touch.